Deepavali has passed and all of us had a wonderful time in munching on the sweets and snacks. I must have put on at least 3 kg in last 2 weeks. However, in order to maintain the taste and health at the same time and revitalize for all the upcoming festivities like Christmas and New Year, I am including lots of tofu and soya dishes in my daily meal. 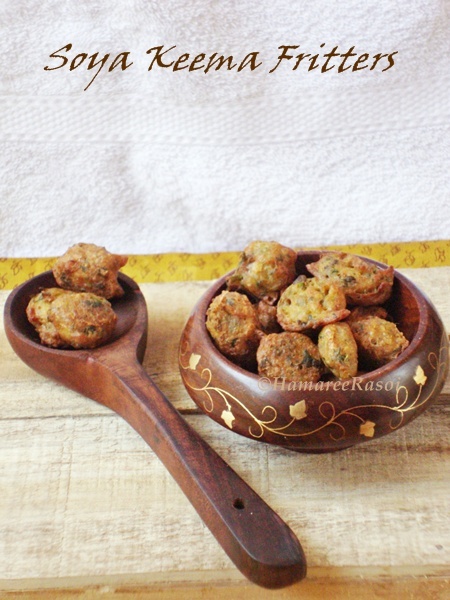 This soya keema fritter will face no rejection from fussy eaters. Boil the soya granules with enough water with a pinch of salt for 7-8 minutes on low flame.Drain and wash in fresh water. Squeeze out all the extra water from the soya granules and coarsely grind the soya in a food processor. Now in a mixing bowl add soya mixture and rest of the ingredients. Do not add water in it. The batter should be of medium consistency, neither too thick nor too thin. Deep fry on medium flame till they are golden brown. Place them on tissue to soak excess oil an serve with Ketchup or Coriander chutney. awesome...siter sondhay ek cup gorom cha ar soya fritter just jome jabe! the bowl and the spoon is so awesome!!! very hard to take my eyes off it!!! 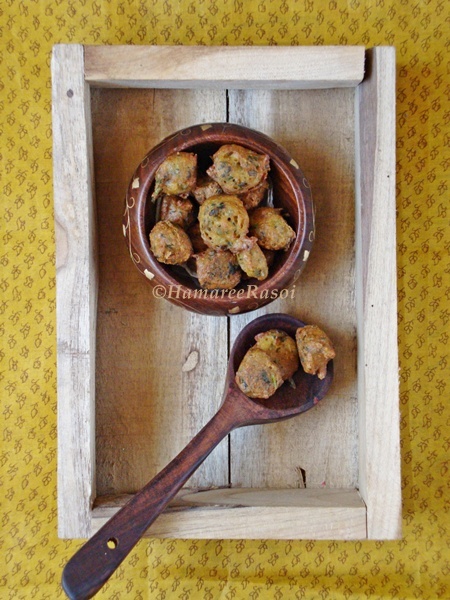 Crispy fritters, looks inviting.Wish to have some with a cup of masala chai rite now. so yummy...want to have them right now Deepa.. I love this recipe! the body of the fritters is easy to make! no cutting peeling involved ;) soya gives body!! healthy too! so you had boiled them and chopped in a processor, mixed all the ingredients and dropped as irregular balls in hot oil? I have bookmarked this one and certainly try!! That's a perfect snack with tea. Will surely try it. Perfect for a wintry weather! I add Bajri Flour in it. Love this dish. 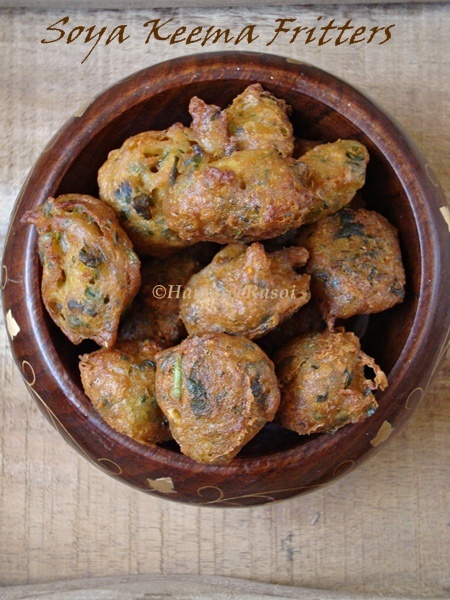 Beautiful fritters love to try it as my tea time snack.